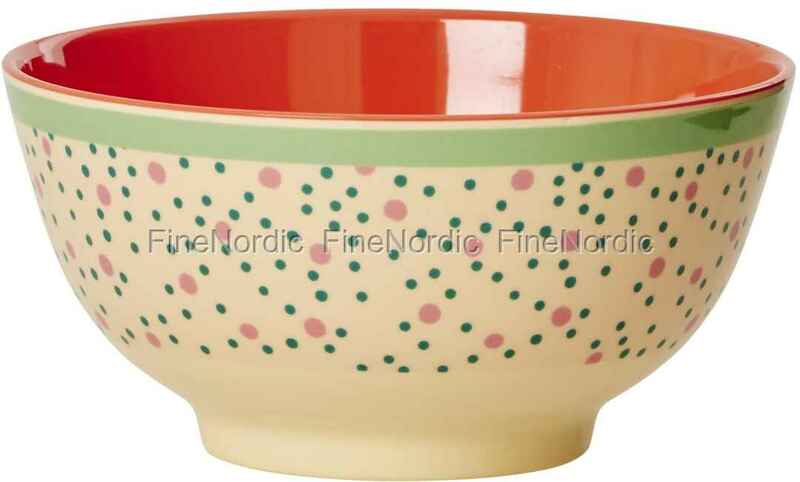 Cheerful dots on the outside, single colored on the inside, that’s how you could quickly describe the Rice melamine bowl Connecting the dots. But it is much more. It is versatile to use for salad, soup, muesli and more and it is very practical, because after use it can be easily cleaned in the dishwasher. It is sturdy and durable and also looks really nice thanks to the beautiful color scheme and the pretty pattern. It combines well with the other Connecting the Dot merchandise and together with plain Rice tableware it offers an interesting contrast. A true all-rounder and that makes it a bowl to our taste.